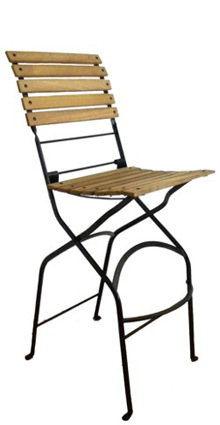 original French bistro chair design with modern improvements. 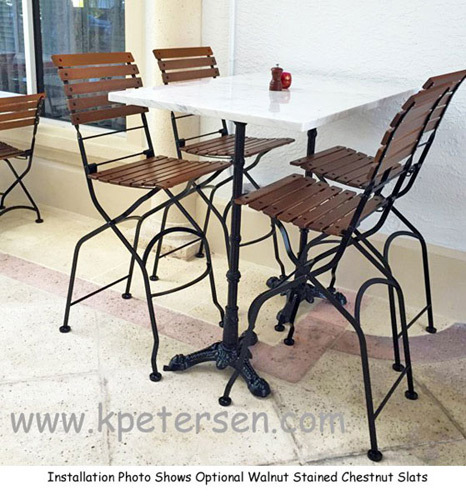 Optional walnut stained chestnut French bistro style folding stools are also available. French bistro folding bar chairs are attractive enough to use inside for permanent dining room installations. African Teak (Iroko) slats are standard in the wood's "natural" color. 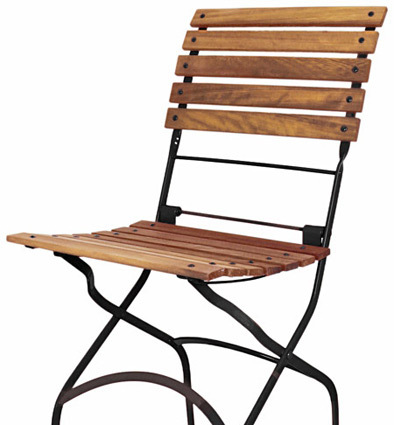 The Teak Slat Stool ( Below ) Generally Ships From Stock . Seat is 18" Wide X 16" Deep, Seat Height 31"
Overall Bar Stool Height Approx. 47"